Wellington’s Peka Peka to Ōtaki Expressway project the perfect launchpad. A new suite of Civil Infrastructure Apprenticeships have been presented in Wellington, back dropped by one of New Zealand’s major infrastructure projects. The $330 million-dollar Peka Peka to Ōtaki Expressway project offered the perfect setting for the new Apprenticeships preview, at the same time highlighting the value of a quality infrastructure workforce in the country’s future roading development. Connexis – the Infrastructure Industry Training Organisation (ITO) – developed the new apprenticeships working with industry experts. Board chairman Brian Warren says that he hopes these apprenticeships will attract more people to the industry, which has a growing need for staff. “New Zealand has either outgrown or worn out its infrastructure so there’s a lot of work to be done, and a lot of people required over the next 5 years to achieve this. The new Apprenticeships cover various specialised areas of work in the civil sector with options in Bitumen Surfacing Construction, Civil, Forestry Earthworks, Pipeline Construction and Maintenance and Structural Works. The structured Apprenticeship pathway combines the newly developed Infrastructure Works Level 3 with the specialised Level 4 qualification. With the opportunity to become nationally recognised and accredited through the Civil Trades Certification programme for civil contractors, the new Apprenticeships are set for a successful industry career pathway. “Connexis, along with our industry partners, put a lot of work into getting these qualifications formally recognised and we hope it will enable us at the very least to be on a level playing field with the rest of the trade sector in terms of employment and attracting people to join the industry and turn it into a career,” Brian says. Fletcher Construction, Peka Peka to Ōtaki Expressway Project Manager Andrew Goldie adds, ” We are well aware of the skills shortage we have and the need to encourage the next generation into this industry, so we can build more successful projects like this. 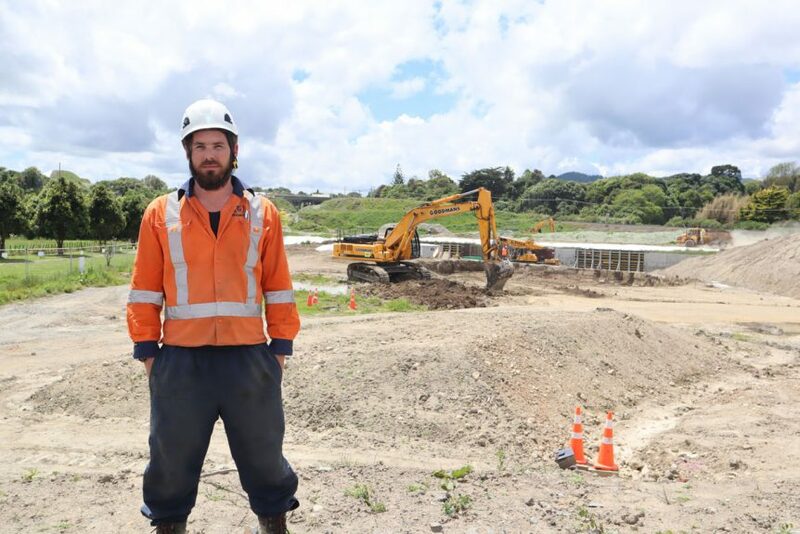 One example of a young worker already on the pathway to achievement is Jimmy Robertson from Waikanae based Goodman Contractors. “It’s great the civil industry has trade recognised qualifications. The civil industry is not unskilled, it is a skilled industry. Good operators, who put the effort in, should be able to be trade certified like builders, plumbers, electricians, and any other trade. It’s about recognising skills and formalising qualifications within the industry,” Jimmy says.